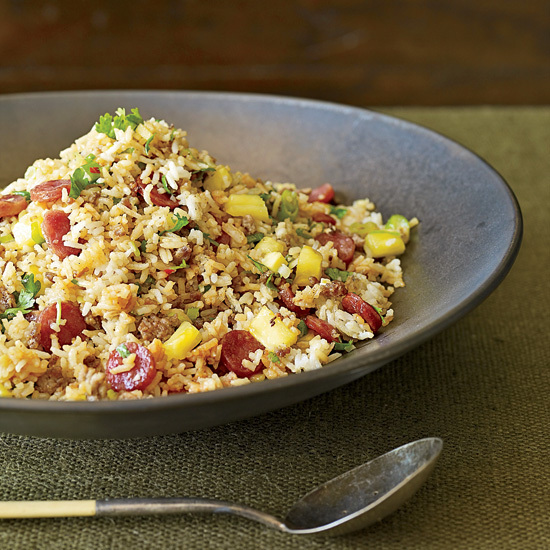 It's a match made in salty-sweet heaven. Maple syrup is a no-brainer when it comes to topping pancakes, but it's also excellent for bringing sweetness to savory pork. 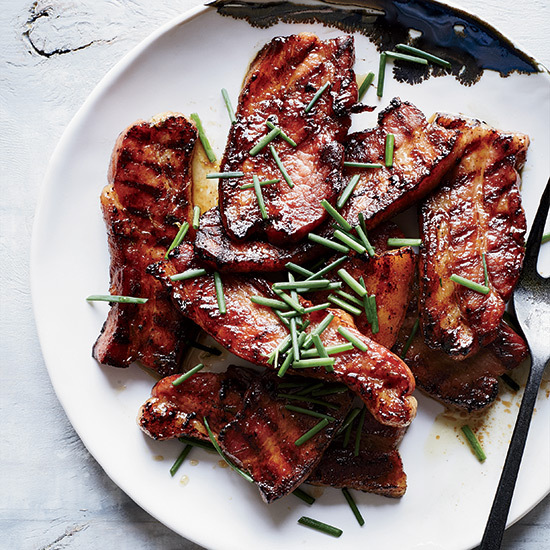 From amazing grilled pork chops to supersimple campfire bacon, here are seven recipes that prove maple syrup and pork are a winning combo. 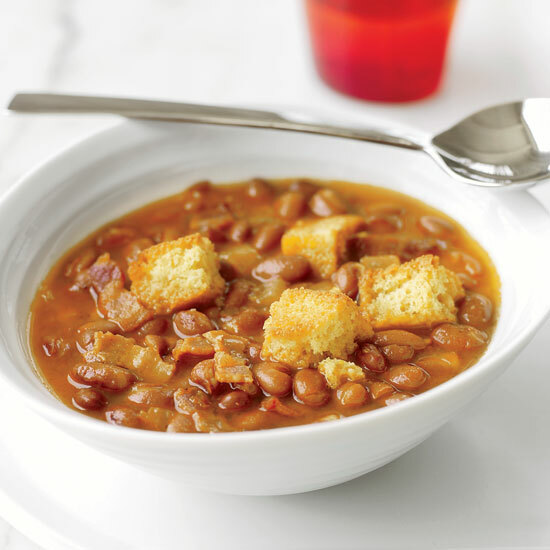 This fun, rustic dish is a cross between baked beans and tomato soup. 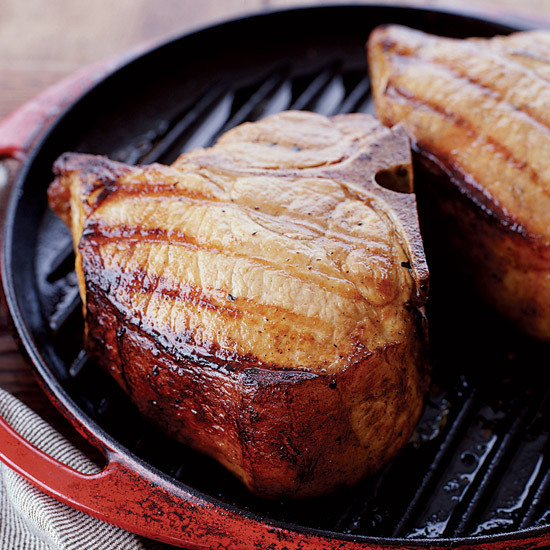 Star chef Andrew Carmellini's incredible fried pork is studded with lean maple-cured bacon. Chef Melissa Kelly uses a sweet and tangy maple-syrup and cinder-vinegar brine to enhance the natural juiciness of the meat. 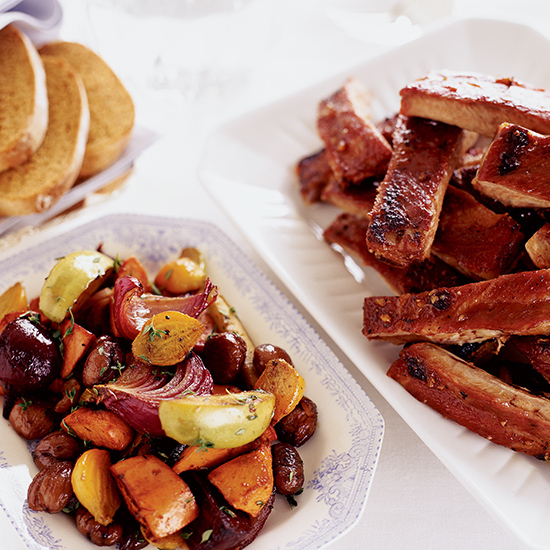 Vermont's fabulous maple syrup stars in the sweet glaze for these juicy ribs. 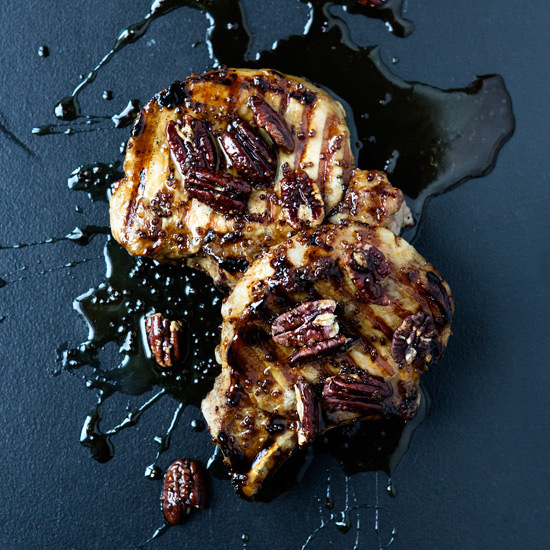 These sweet-spicy pork chops feature pure maple syrup and Sriracha. 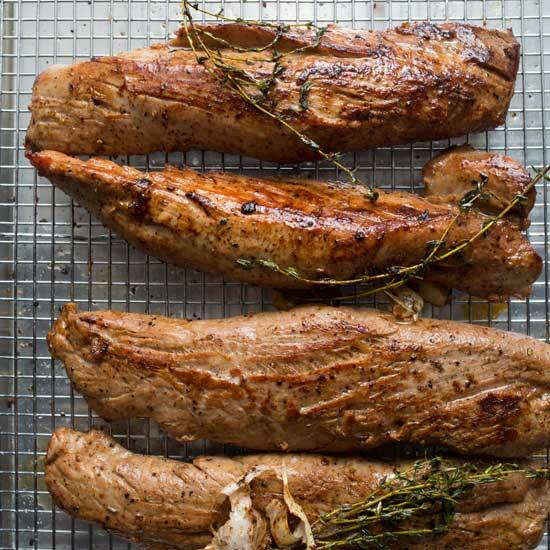 Chef Scott Boggs keeps his pork tenderloin extra-juicy by soaking it in a spiced, maple-sweetened apple cider brine; the sugars in the syrup caramelize as the meat roasts.